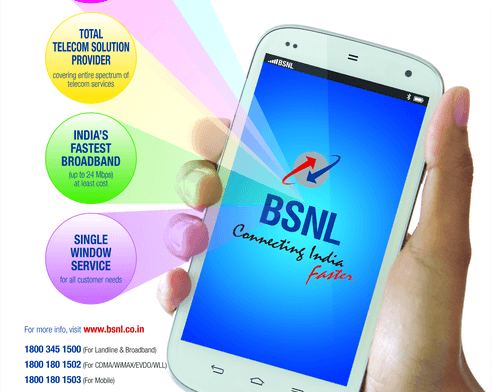 State owned PSU operator BSNL has launched a new tariff plan for new and existing subscribers to offer lower calling rates pan India. The Freedom Plan has been launched on a 90 days promotional basis in all circles. The details of the Freedom plan are given in the table below. 2. 1GB free Data* to be used in first 30 days. – applicable specifically for this plan only. There are also 3 special combo vouchers which are applicable specifically with this plan which come as talktime and data bundles. The first voucher is of Rs. 577 and offers full talktime in main balance along with 1 GB 3G data for 30 days, the second voucher is for Rs. 377 and offers full talktime in main balance and 300 MB data for 20 days and the third voucher is for Rs. 178 and offers full talktime in main balance along with 200 MB data for 10 days.